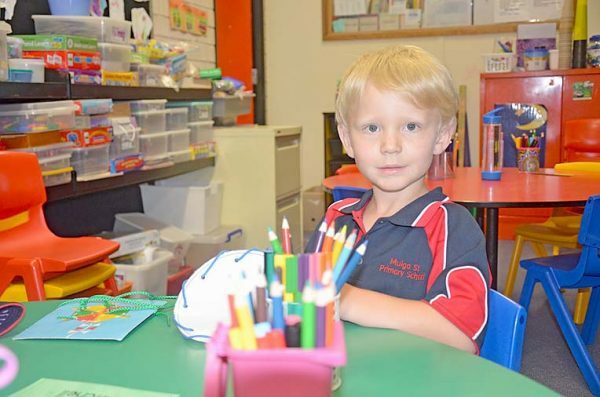 LEARNING: Foundation student Mitchell takes part in a craft activity during his second week at school. IT is all smiles for foundation students at Mulga Street Primary School as they settle in to their second week in the new learning environment. Making the first big step into primary school last week, the 45 students are progressing in leaps and bounds as they make new friends and begin to build skills in all areas.